Gold Coast Private is pleased to welcome Specialist Paediatric Surgeon, Richard Thompson. 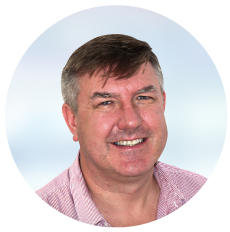 Dr Richard Thompson is a specialist paediatric surgeon experienced in treating a broad range of surgical conditions. He is a Fellow of the Royal College of Surgeons of England (1997), Edinburgh (2010) and Australasia (2017). In 2015 he moved to the Gold Coast from the UK commencing work as a specialist paediatric surgeon at the Gold Coast University Hospital. Additionally he provides training and education for surgical trainees as well as regularly lecturing undergraduates from Bond and Griffith Universities. He draws on a wealth of expertise and experience gained from ten years as a consultant paediatric surgeon at the Royal Aberdeen Children’s Hospital where he developed his subspecialty interest in managing children with gastrointestinal and colorectal disease. Dr Thompson graduated from Nottingham University, UK in 1993 with an honours degree in Medical Sciences. Subsequently he undertook three years basic surgical training based in Liverpool, including twelve months at the internationally recognised Alder Hey Children’s Hospital. From 1998, Dr Thompson was appointed to the highly competitive UK specialist training scheme in paediatric surgery. He spent six years working with experts at the Royal Victoria Infirmary in Newcastle upon Tyne, UK, and, as the senior registrar, at the Royal Hospital for Sick Children, Yorkhill, Glasgow. During this period Dr Thompson worked as a senior resident in paediatric surgery for twelve months at the Bustamante Children’s Hospital in Jamaica. In 2005 he passed the Intercollegiate Examination in the specialty of Paediatric Surgery (FRCS Paed) leading to the award of the Certificate of Completion of Specialist Training in Paediatric Surgery. From 2011 to 2014, Dr Thompson was Clinical Lead for Children’s Surgery in Aberdeen and was heavily involved in providing specialist services to remote and rural populations. He was Honorary Secretary of the Scottish Surgical Paediatric Society for three years from 2007, co-ordinating scientific meetings with colleagues throughout Scotland. As an honorary senior lecturer with Aberdeen University he was involved in undergraduate and post graduate medical education. He was a member of the board of examiners for the intercollegiate examination for paediatric surgery and was an advisor on behalf of the Academy of Royal Medical Colleges for consultant appointments in Scotland. In 2015, Dr Thompson emigrated to the Gold Coast with his wife, two young children and two dogs, and began consulting at the Gold Coast University Hospital. Since his arrival on the Gold Coast families have, for the first time, been able to access a comprehensive paediatric surgery service locally without the need to travel to Brisbane for emergency and elective paediatric and neonatal surgery. Dr Thompson has extensive experience in both minimally invasive and open surgical modalities and is able to apply a wide range of treatment options available for the surgical management of abdominal and thoracic disease in children.